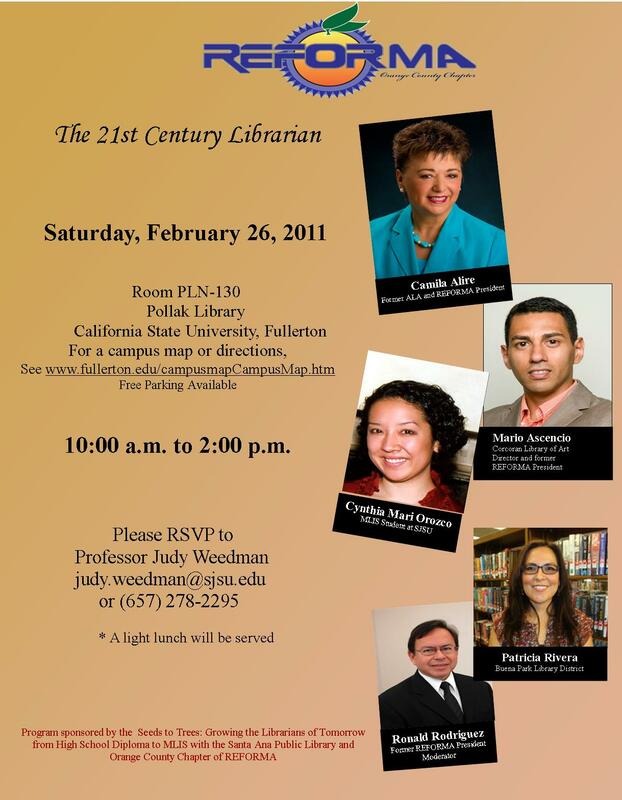 Orange County Chapter of REFORMA invites current and future Masters degree library and information studies students to participate in its 2011-12 Scholarships Competition. OC REFORMA Pachanga–Friday Feb. 25th! You are cordially invited to celebrate the Chinese New Year of the Rabbit with the members of the Orange County Chapter of REFORMA. Per the Association for Library Services to Children (ALSC), El día de los niños/El día de los libros (Children’s Day/Book Day), known as Día, is a celebration EVERY DAY of children, families, and reading that culminates every year on April 30. The celebration emphasizes the importance of advocating literacy for children of all linguistic and cultural backgrounds.